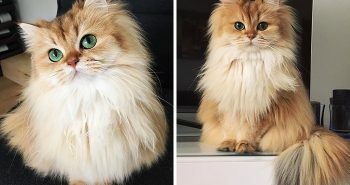 A time to unwind, a time to let your hair loose and go absolutely crazy! College festivals are one of the best aspects of college life, which remains etched in the memories of both the people who organise it and the ones who attend these festivals. Organised every year, each college festival has its own unique aspects. Despite having humble beginnings, all these festivals have only grown with each year and have etched their name on the popularity scale in the nation. 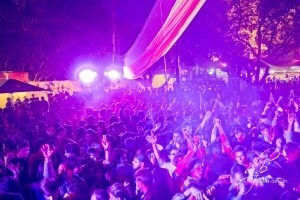 We give you, the top 15 college festivals in India. 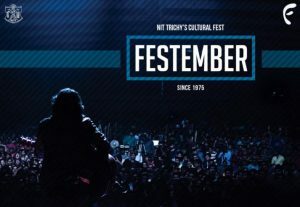 Originally started in 1975, Festember is the college festival of National Institute of Technology (NIT) Tiruchirappalli. The 4-day event is one of the biggest festivals in South India. The term ‘Festember’ was coined due to the combination of the terms ‘Fest to Remember’. Organised in November every year, this fest which has been organised since the last 40 years, has definitely made its mark in the nation. ProNites consist of shows or concerts by professionals. The ProNites or ProShows witness many celebrities entertaining the enthusiastic young crowd. Incident is another National Institute of Technology borne college festival, held in Surathkal in Karnataka. Held over the span of five days every March, this college festival had very humble beginnings in the 1980s, when it was founded with a budget of merely Rs 10,000. 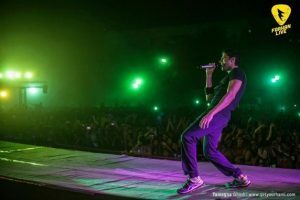 Over the years, this festival has grown to new heights with many celebrities like Sunidhi Chauhan, Raghu Dixit, and Salim-Sulaiman performing for the students in the ProShows. Haute Couture is the fashion event of the festival, which sees the participation of various students across the nation and is considered a very big platform. 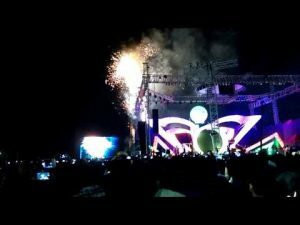 Spring Fest is Indian Institute of Technology (IIT) Kharagpur’s college festival, which is an entirely student-organised event held in the month of January every year. The event began in 1960 and has become a prominent college festival in the large 58 years. In the most recent 2016 edition of the fest, the college witnessed the participation of over 50,000 students. First introduced in 2014, the International Carnival consisted of performances by many artists across the world like Malaysia, Portugal, Ireland, Hungary and Canada. The acts received an enthusiastic reaction from the crowds, and has since been one of the most looked forward to aspects of the festival. Manipal Institute of Technology’s college festival ‘Revels’ is a cultural and sports festival held in the month of March every year. The event which was founded recently has already created waves among the nation, and the latest edition of the festival witnessed the participation of over 100 colleges across the country and 4000 students. 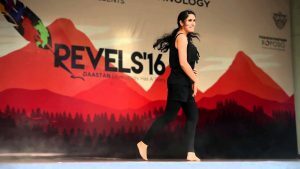 In 2015, Revels introduced its own social cause S.A.H.I.L, to help in supporting women empowerment in the nation. 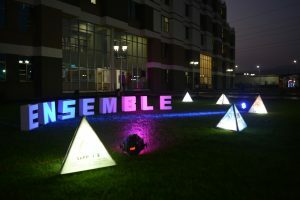 Ensemble is XLRI’s flagship management college festival and is predominantly a B-school fest. It emphasizes on business sense, but also celebrates creativty and passion of the students, helping them to become phenomenol and great leaders. This festival is usually held in the month of July. Strategikon is a competition within Ensemble to test the cunningness of the champion strategists, and it does so in the form of consulting. It’s a top notch event and a great platform for participants. Waves, founded in 2006, is the college festival of BITS Pilani in Goa. This festival made its mark in the party capital of the country, by offering many special events. The three-day long festival takes place in October every year, and witnesses participation of more than 150 colleges all over the country. In addition to contests, they also have workshops for the students. It is one of the biggest cultural festivals in the entire nation. Sea Rock is seen as the biggest platform for showcasing the musical talents of participants and has elimination rounds all over the country before the final event. It is seen as a stepping stone into the Music Industry. Riviera is Vellore Institute of Technology (VIT)’s college festival, which has crossed leaps and bounds since its inception in 2000. This college festival witnesses participation of students from over 700 colleges and also students from foreign countries like China, Nigeria and France have participated in Riviera. It has in fact been certified by ISO and is regarded as one of the best cultural fests in India. Riviera’s Proshows have seen the performance of many celebrities like Sunidhi Chauhan, Shankar-Ehsaan-Loy, Salim-Sulaiman, Benny Dayal, Mohit Chauhan, Arjun Kapoor among others. Pravega is the college festival of Indian Institute of Science in Bangalore, which was founded very recently in 2013. The festival focuses on science, technology, and culture. The three-day fest comprises of quizzes, demonstration sessions, and cultural events like dance and music performances by reputed artists. The event is held on a very large scale in IISc, and sees industry giants like Bosch offering internships in their labs as a prize in the competition. The event is usually sponsored by many such industry giants like Bosch, BASF and Mercedez-Benz. Alcheringa is IIT Guwahati’s cultural festival held in the month of January every year. The 3 day-4 night festival brings together people from all over the world, and the last edition of the fest witnessed participation of over 70,000 people. 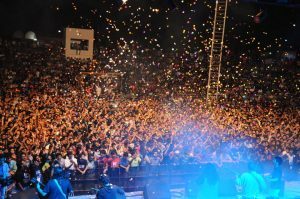 The fest, which started in 1996, has risen rapidly since then and is one of the most looked-forward-to college festivals in India. 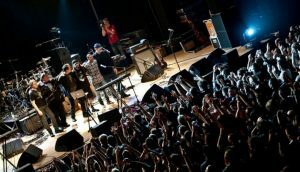 Alcheringa’s event Rock-o-Phonix is one of the nation’s most famous rock music contests. The entire festival hosts over 70 competitions and other trademark competitions of Alcheringa include Electric Heels (group dance), Voice of Alcheringa (Solo Singing), Halla Bol (Street Play) and Mr and Mrs Alcheringa (Personality Contest). Unmaad is the college festival of Indian Institute of Management, Bangalore. This three-day fest is one of the most popular cultural fests in the nation, which takes place in late January or early February ever year. It was first organised in 1996 and made its name in 2004. The festival has attracted many celebrities to perform like Shankar Ehsaan Loy, KK, Kailash Kher, and Indian Ocean. 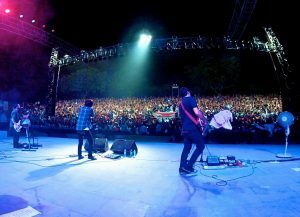 Unmaad hosts many concerts during its three-day run every year. Also, look out for many dance performances by global business schools. One of the bigwigs of Indian college festivals, Rendezvous is IIT Delhi’s annual cultural fest which has been organised for the last 38 years. The four-day-long fest is usually held in October every year, and sees the participation of students from all over the country, with the last edition recording footfall of over 50,000 students. It has become one of the largest college cultural festivals in the country, and the biggest festival in the north. One of Rendezvous’s annual legacy is to host star casts of popular Bollywood movies before the show. Actors like Anushka Sharma, Ranveer Singh, Deepika Padukone, Imran Khan and Arjun Rampal have come for movie promotions in Rendezvous. Saarang is the annual college festival of Indian Institute of Technology, Madras. This five-day event is held in January every year and is one of the biggest festivals in South India. It receives the footfall of over 50,000 students from all over the country. It also has been certified by ISO. The festival began in 1974-75 with the name ‘Mardi Gras’ which was changed to ‘Saarang’ in 1996. Saarang hosts many dignified celebrities like Kiran Befi, Nawazuddin Siddiqui, Leander Paes, R Balakrishnan to address students and hold interactive sessions with them. This event titled ‘Spotlight’ helped students and celebrities voice their opinion on various issues. Often ranked as one of the biggest college festivals in India, Oasis is BITS Pilani’s trademark fest which takes place in October every year. It is a 96-hour-long festival which keeps the audiences enthralled to the last minute. It is organised entirely by the students of BITS Pilani and has made its name in the country. Oasis is the only college festival which hosts rap wars, providing a huge platform to rappers in the country to showcase their talents. Thomso is the three-day cultural event of IIT Roorkee in Uttarakhand, which takes place in October every year. It is one of the largest college festivals in the entire country and has witnessed the footfall of over 1 lakh students from all over the country. It has attracted many media moguls and celebrities to perform in the event. It was first organised in 1982 and rose among the ranks and was declared the Annual Youth Festival of Uttarakhand in 2004. Two flagship events of Thomso are Thahake and Vogue. Thahake is a platform for comedians and its stage has been graced by the presence of various comedy stalwarts like Sunil Pal, Ragiv Nigam, Kumar Vishwas and Pratap Fauzdar. Stand-up comedians like Daniel Fernandes and Abhijit Ganguly too have performed here. Vogue is Thomso’s fashion event which has witnessed the likes of Sushmita Sen, Annie Thomas walking on its ramp. It attracts many fashion-inspired students from all over the country. Mood Indigo, or Mood I, is regarded as the biggest cultural festival in South Asia. The festival had humble beginnings in 1971 when the first four organisers of the event named it Mood Indigo after Duke Ellington’s Jazz composition ‘Mood Indigo’ and began with a budget of Rs 5000. 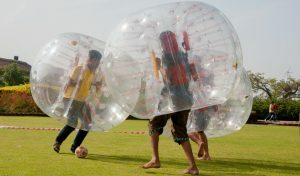 Over the years, it has progressed to becoming one of the most well known and popular events in the nation. 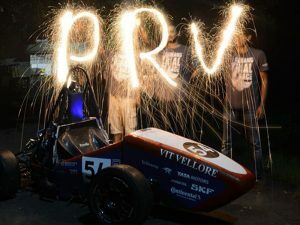 The four-day event, which takes place in the month of December every year, is wholly organised by students of IIT Bombay. It witnessed the footfall of over 1,31,000 students from all over the country. With its unique themes and varied performances by artists from all across the globe, Mood Indigo is undoubtedly the creme-de-la-creme of college festivals in India. Unique Aspects- Almost everything about it. Mood Indigo offers everything on a large scale. Look out for varied types of concerts every night of the event, workshops during the day, different competitions, flash mobs, street plays, et all. This event has something to offer for everyone. College festivals everywhere begin on a small scale and end up being one of the best parts of everyone’s college lives. The days of the festival remain etched in the minds of all the participants. It is the result of the efforts of many over a lot of months, and it all comes together in one big celebration of colors, enthusiasm, and offers unforgettable entertainment.